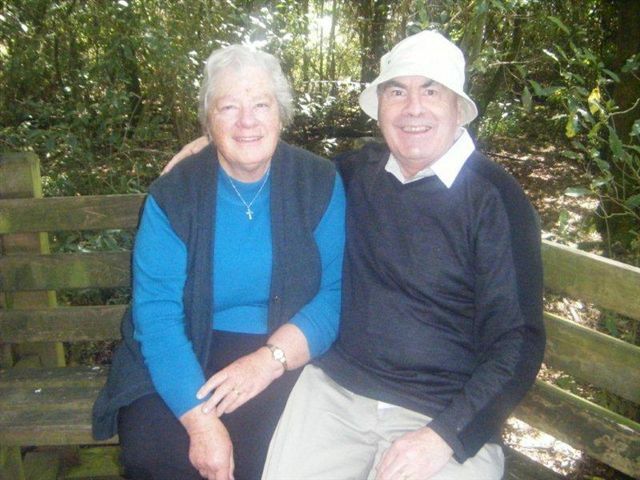 DEB ROBERTSON WRITES....: A Very Special Guest Post from my Mum! A Very Special Guest Post from my Mum! At the start of each year I always want to improve myself. Last year and probably for the last few years I was going to loose weight! But sometimes there is a bigger picture to look at. I have an ‘if only’ regret from 2008. If only I had looked passed my appearance that year and decided to mend fences. I have two older brothers; one had not spoken to me for 15 years. I had written to Ian every Christmas and sent him photos or gifts in an attempt to reconnect with no response. In February that year James and I spent a few days in Wellington without a thought of travelling a few hours north to Levin to visit Ian. On 22 June 2008, Ian died aged 68 and the reconciliation I had thought would happen never eventuated. I wish I had risked rejection and visited him. Relationships are a risk; one must be committed to their continuance and prepared to dine on humble pie sometimes just to build them into healthy friendships. Regrets after a death one just has to live with. When we were younger, Ian had been a shepherd at the Grampians, near Mt Cook and I had visited him there. He always had a dog even in his retirement. Strangely his dog died a few weeks before he did. His dogs all listen, then he shouts the dog's name so it becomes “Where’s Ben?” “Where’s Tip?” “Where’s Bob?” and so on. So put in those same circumstances what could I have done better? I sent him gifts, both with historical significance and for pleasure. I phoned him with two lots of information he wanted to hear; but once I had told him (that an Insurance company had money for him from an investment our parents had made for him many years ago and, second occasion, that our elderly aunt had come through her operation well) he simply hung up. Yes, I get it now; I should have visited him, if only, if only, if only! It would have been so easy. I have learnt my lesson the hard way, now and for the rest of my life, I will risk mending fences, it will be easier than living with regrets! I know that I care more about relationships and the value of risking all to build the bridge again. I hope this helps someone who is on the same journey. Thanks so much mum for being so honest and real. We all make mistakes but we can learn so much from each other. This Easter, the traditional time for new beginnings, I just wanted to take a moment and encourage anyone who has lost contact with someone they loved, so take a small step and walk one step closer to that person. One thing I learned from my friend Sally dying was, that friends are irreplaceable, once they are gone the hole they leave never goes away. I know this is a bit more serious than my posts often are, but if one person sends a text to someone, or writes a letter or bakes a cake or whatever it takes, it will be worth it. This Easter, hug your family, tell them you love them and enjoy the opportunity to spend time together! Aw... Thank you for sharing this post. It makes me want to do better in my relationship with my family. Thanks so much for sharing your Mums thoughts. They are very timely in our family. We had a massive family rift a few years ago and finally this year things seem to have ironed out and life continues - albeit different from before. Thank you, thank you, thank you. Beautifully written by both of you and come at a meaningful time for me when I've just made peace with a parent. When my sister died very suddenly in a car accident the one comfort I had was that we had recently said "I love you" to each other. That simple comfort has influenced my behavior and thoughts through the twenty three years she's been gone. I'm sure I'll think back on this post many times. Thanks so much for sharing. Beautiful post and so very true. You just never know what is around the corner of life and there may not always be plenty of time. Happy Easter. This was such a wonderful post. Thank you for sharing it with your readers (and thank your mum!) I know that it will be helpful to some in an immediate sense and some to keep in mind for the future. It made me sad, but it also resonated . . . I know a lot of people who live with regrets about what was said/not said before someone has passed on. And there was still a bit of hope at the end there . . . we may not be able to change the past, but we can learn from it and move forward with our other relationships.